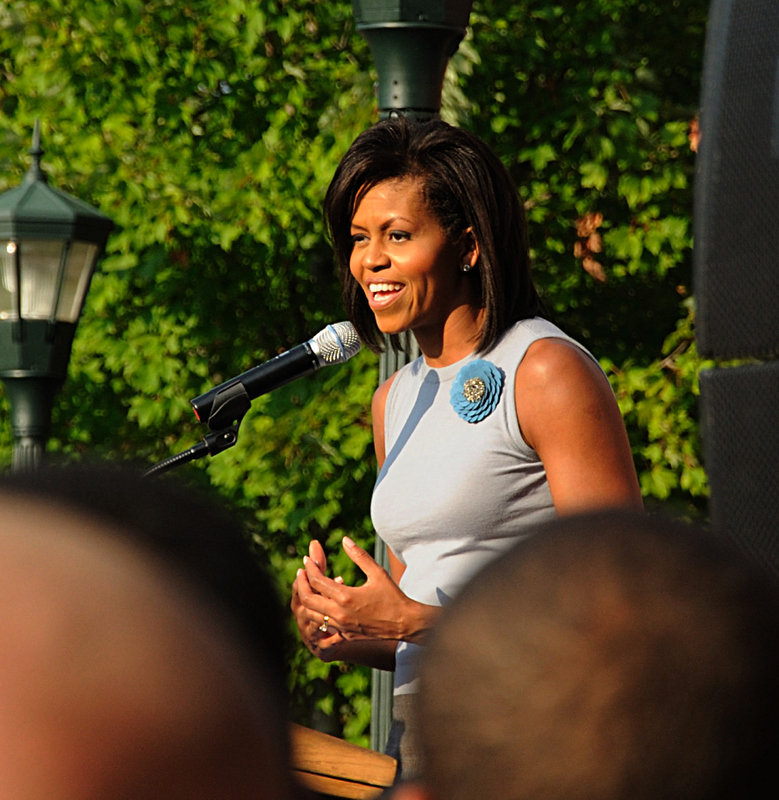 On September 17, under a brilliant sun outside of UVa’s Newcomb Hall, Michelle Obama, Jill Biden, Lilly Ledbetter and Tom Perriello spoke to a crowd of over 2500 students, activists and community members. The open to the public event was held to address equal work/equal pay disparities for working women, hence the presence of Lilly Ledbetter, a former Goodyear employee whose workplace discrimination victory against the company was overturned last year by an increasingly conservative U.S. Supreme Court. The court decided grievances of this nature must be introduced within six months of the alleged crime. Of course, Ledbetter was unable to prove her case until years after the fact and was summarily stripped of the awards she’d won in a lower court. Ledbetter is no rockstar. She read her speech softly and rarely raised her head. A quiet, hard-working southern woman, she proudly endorsed Barack Obama for president. So it went. 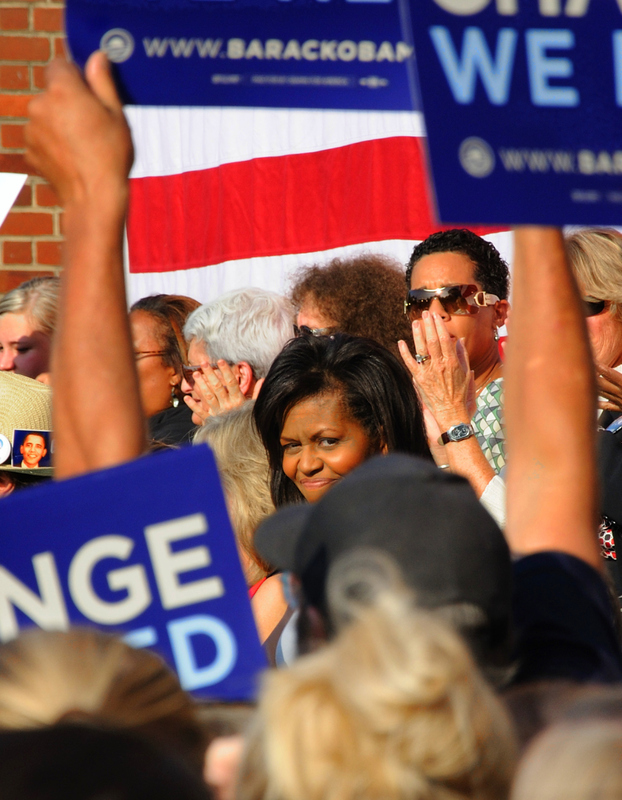 Jill Biden spoke briefly and Michelle Obama delivered a very personable 20 minute oration. The lady’s just likable in all senses. Relaxed and yet earnest, she seemed like someone you really could just hang out with. The students in attendance appreciated Obama’s references to the cost of college, and she got a great hit when she reminded them that she and the presidential hopeful had only recently paid off their student debts. Tom Perriello spoke briefly, and god do we need to elect this guy. Anything but MORE VIRGIL GOODE. Enough of that one issue monotone cracker. I’ve had it. The Fifth District DESERVES BETTER! 1. Although security is obviously a serious issue, this event should have been held on the Lawn. Come on, you guys. 2. When the minister gave his opening convocation, I heard a student behind me protest quietly to a friend. I totally agree. I appreciate the value of a good voodoo service, but whatever happened to church/state separation? If I want Jeebus, I’ll watch The Simpsons. Maybe that’s just me. And that chick in the crowd. 3. Not only is that country tune they play at the end (also heard at the DNC) annoying and pandering (we’d been listening to Sly Stone and Stevie Wonder up ’til then), but it was INCREDIBLY LOUD! Ear-splittingly loud! Very bad for your ears loud. And I’m a guy who appreciates LOUD. But the the first lady in waiting is standing right next to this stack shaking hands, and there’s no way in hell anybody could hear anything besides a loud ringing and some redneck going on. Please, stop. This entry was posted on September 18, 2008 at 5:53 pm and is filed under cripsyduck with tags democrat, Jill Biden, Lilly Ledbetter, Michelle Obama, Tom Perriello, UVa, Virgil Goode. You can follow any responses to this entry through the RSS 2.0 feed. You can leave a response, or trackback from your own site.